I am so thankful for all the wonderful friends I have made blogging. Today, my friends Lisa and Anna from Garnish with Lemon are here to share a delicious snack: Pimento Cheese Dip. Be sure to give them a great big welcome, they are doing me a huge favor by guest posting today while I work on unpacking boxes in my new house! Thanks ladies! Hello Shugary Sweets fans! My name is Lisa and I blog with my friend, Anna, over at Garnish with Lemon. We have been longtime fans of Shugary Sweets, and I was so excited to finally meet Aimee on a dairy farm tour last fall. (Anytime you wear plastic hairnets together, friendships are formed fast!) We are delighted to be guest posting here today while Aimee moves and gets to work unpacking all of those boxes. Hopefully her family can get settled quickly and on with their new adventure in Chicago! Since I may be a new face to many of you, I need to preface this post by saying I am a huge fan of appetizers, especially ones involving cheese. My husband and I visited friends in Atlanta over Memorial Day weekend, and Pimento Cheese Dip was on every menu of every restaurant we visited. Of course I was intrigued by something that seemed to be such a cultural staple and needed to recreate it at home. And this Pimento Cheese Dip is the perfect snack for, well, pretty much any time. 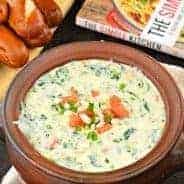 Filled with pimentos (obviously), cheddar cheese, protein-rich Greek yogurt and a hint of pepper jack, this dip is flavorful, smoky and finished with just a bit of heat. 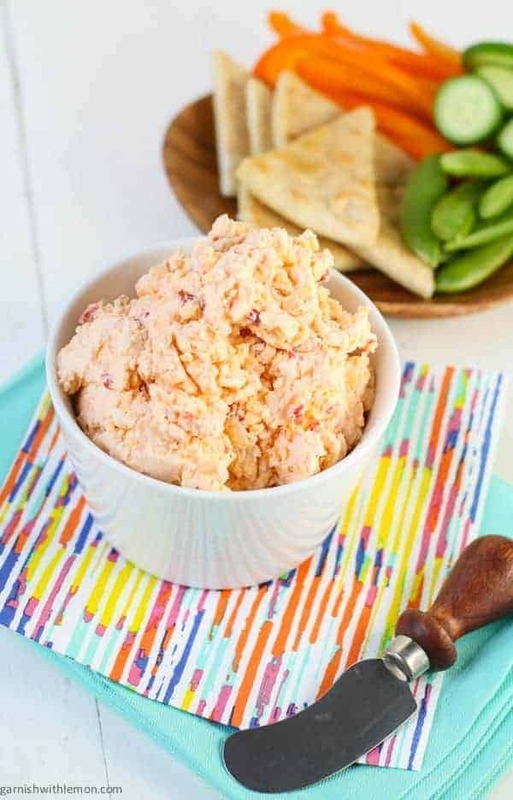 But best of all, this Pimento Cheese Dip takes only 10 minutes to make and keeps in the fridge for a couple of weeks, making it the perfect summer snack to pull out whenever you need it. Serve it up with some sliced cukes, baby carrots or toasted pitas for a simple but tasty appetizer. Food always tastes better when eaten without utensils. Fact. Follow us to see all of our recipes! Place all ingredients in a food processor until mix well combined. Serve with toasted pita triangles or sliced vegetables. 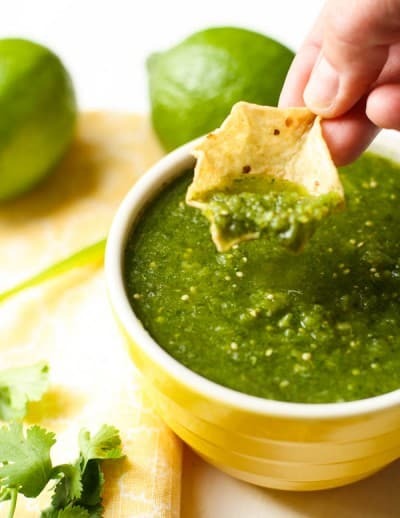 Tomatillo Salsa: 5 ingredients and a blender. Need I say more? 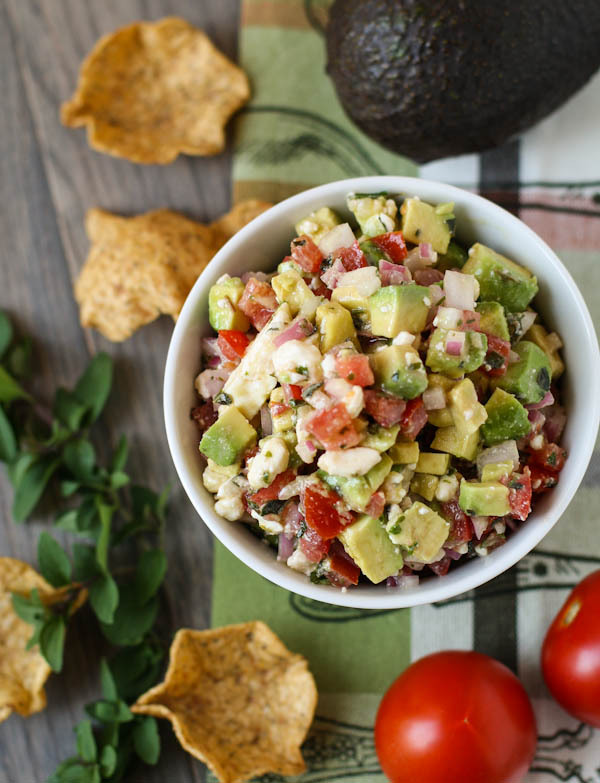 Avocado Feta Salsa: Always a crowd pleaser. 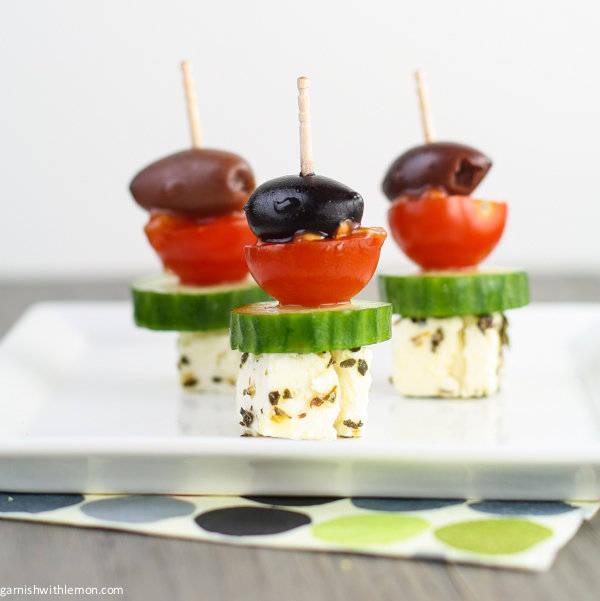 Greek Salad Skewers: Greek Salad on a stick. Delicious and easy. 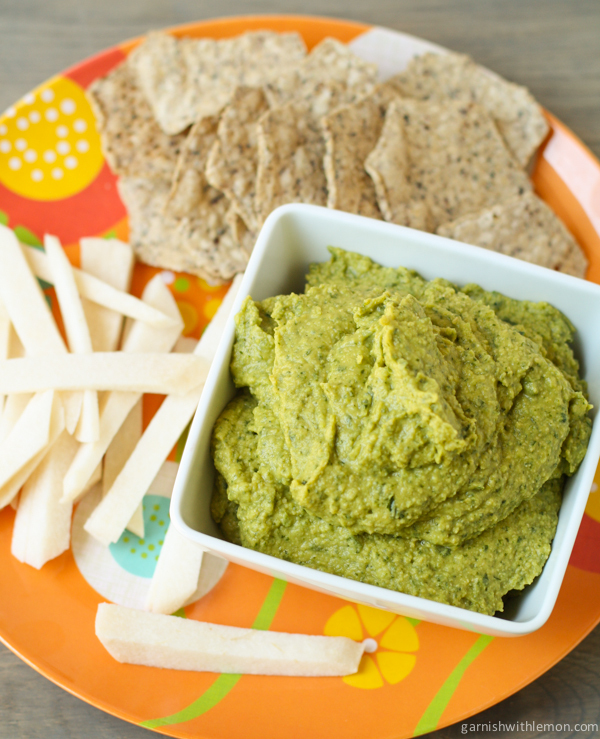 Cilantro Jalapeno Hummus: The secret to creamy hummus revealed. 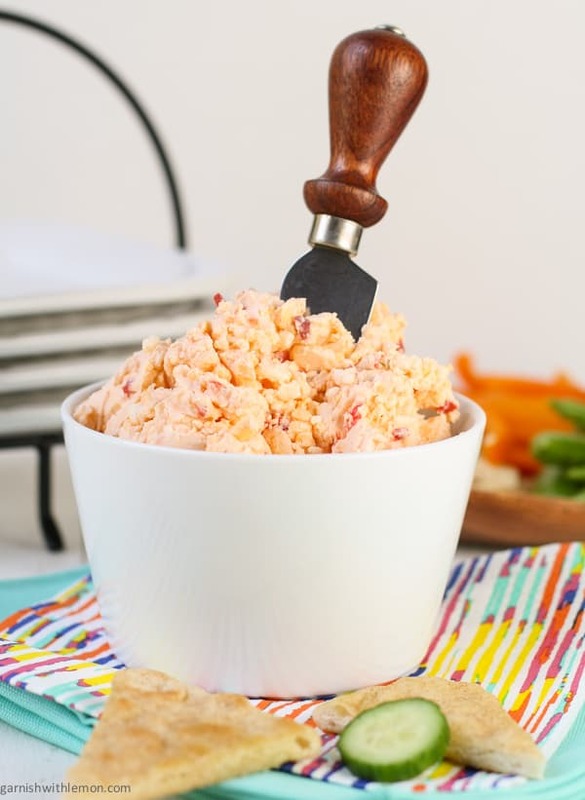 Pimento cheese is a staple down here in the south — LOVE this!! I LOVE Pimento Cheese…it’s not a big thing up here in NJ…but I grew up eating it in Texas! I need to make some of my own!! Thanks for having us, Amy! I’m so happy to be able to help out a friend 🙂 Happy unpacking! Thank YOU for sharing 🙂 You girls are the best! Thanks Sues, I certainly don’t eat enough of it either! Pimento cheese flows through my veins! Love this! We had never had pimento cheese until we moved to Georgia a few years ago. Now we adore it. Can’t wait to make it ourselves now with this recipe. My husband is a big fan of dips like this! 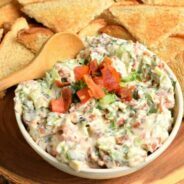 Perfect dip to have on hand for summer entertaining! 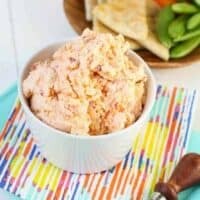 I LOVE pimento cheese, but I haven’t had it in ages, now I can make my own! Favorite kind of dip right here!! This recipe looks Delish! Pimento cheese is a staple in our house. 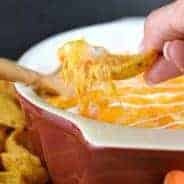 I love serving it as a dip, but I also use it to make grilled cheese or top my favorite burger hot off the grill with a dollop of it. Your recipe looks divine! I love it with jalapeños mixed in. Your idea of putting the jalapeño jack is ingenious. Will try using the yogurt instead of mayo.